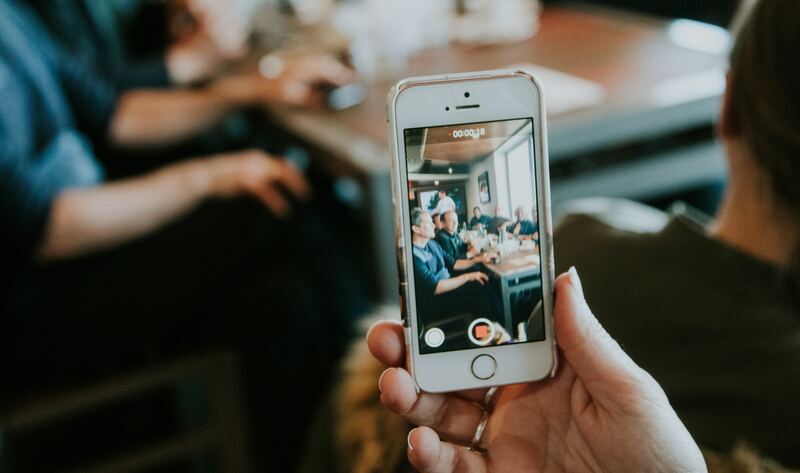 Everywhere you turn, social platforms are amplifying their video strategy, and with good reason: Statistics show that video is expected to make up 80% of all internet traffic by 2021. Currently, a third of online activity is spent watching video, and over half of that video content is viewed on our mobile phones. Instagram’s posts, lives, and stories, allow users to post video content in varying lengths. For posts, users are allowed to post videos up to a minute in length, while on Instagram stories, Instagram’s own take on ephemeral content, only allows users to post 15-second clips. Instagram live is another story, in that it allows users to share live videos, which can eventually be converted into a series of Instagram stories. Instagram still wants to capture the market for longer-form content, thus Instagram TV (IGTV for short) was born. IGTV is the platform’s answer to long-form video. On IGTV, content creators can make videos up to an hour long, but this feature is only available for verified accounts, or those with large followings. For everyone else, the limit is 10 minutes. The only difference from IGTV and other video channels such as YouTube or Facebook video, is that video content on IGTV is vertically-oriented ( in a 9:16 ratio). IGTV was launched in June of 2018, and can be accessed via the Instagram app, or on the separate IGTV app. On the original Instagram app, you can see it as a “T.V.” icon in the top right, which will be highlighted if there is new content available. When you click on the icon, or access IGTV on the standalone app, a video feed plays automatically. Akin to a television, it has different channels organized according to the accounts you follow and interact with. IGTV has the same functions of Instagram posts, users can like or comment on videos, and send videos to friends via a Direct Message. Something different about IGTV is that the swipe up call-to-actions are available for all users, unlike Stories, which only makes this feature available for those with business accounts with over 10,000 followers. If your brand doesn’t have that many followers yet, it will benefit from IGTV. IGTV has been around for less than a year, which makes it perfect for an early adapter. By being one of the first few users on the platform, you have the advantage of increased exposure and a headstart in building an audience within your niche. Brands also benefit from increased engagement. According to Forrester, by being on Instagram’s original app alone you receive 10 times more engagement than Facebook, and a 84 times more engagement than on Twitter. Additionally, you don’t need a whole video production to be on IGTV. Younger audiences, which are Instagram’s demographic tend to prefer amateur content to professional, polished content. Additionally, these users are more likely to follow people they don’t know, especially if the content is of quality. IGTV videos can also be uploaded to Facebook Watch. When you’re ready to post a video, tap your avatar from the main IGTV page and click on the “+” in the right corner to select a video from your camera roll. Remember to add hashtags and link your video to external pages like your website and social channels before posting. The first frame becomes the video thumbnail. Remember, videos should be in .mp4 format and you can upload videos up to 3.6GB in size. Tutorials: How-to videos to show your customers that can include how your products work, and or how to use them, or the availability of your services. Product launches or releases: Gives customers access to something that would otherwise be exclusive, making them feel special because they are. Interviews: With influential people in your business or niche, Q&As, and FAQ videos that can be fun and informative. Behind-the-scenes: To give your customers a glimpse into office culture or production. Video series: This would require you to consistently create content, but gives viewers something to look forward to, drawing them in and making them loyal. Promote your Videos: What good are IGTV videos if your audience doesn’t know about them? You can promote them on IG Stories, and in a post, even if you haven’t reached the prerequisite 10,000 followers, as well as your other channels. Consistency is Key: Whether it’s branding or posting staying consistent is of the utmost importance. Consistent branding improves revenue by up to 23%, its imperative to maintain a consistent posting schedule that is in line with when the audience views your content the most, this is to keep them engaged. Choose the right length. Just because you can post lengthy videos, doesn’t mean you should! IGTV allows creators to see their metrics, including when people start losing interest. Use this as a guide for future videos. Today, brands can be more interactive with their customers and prospective customers. Leveraging IGTV for consumers and brands is a powerful way to facilitate conversions. Businesses should be on IGTV because of the value it brings them. It is an innovative tool to provide the audience within your niche the behavioral directives necessary to fully engage with your brand. For support in constructing an IGTV strategy don’t hesitate to contact us.